This diagram shows the earth inside an imaginary celestial sphere, along with the names of coordinate systems: declination and right ascension. 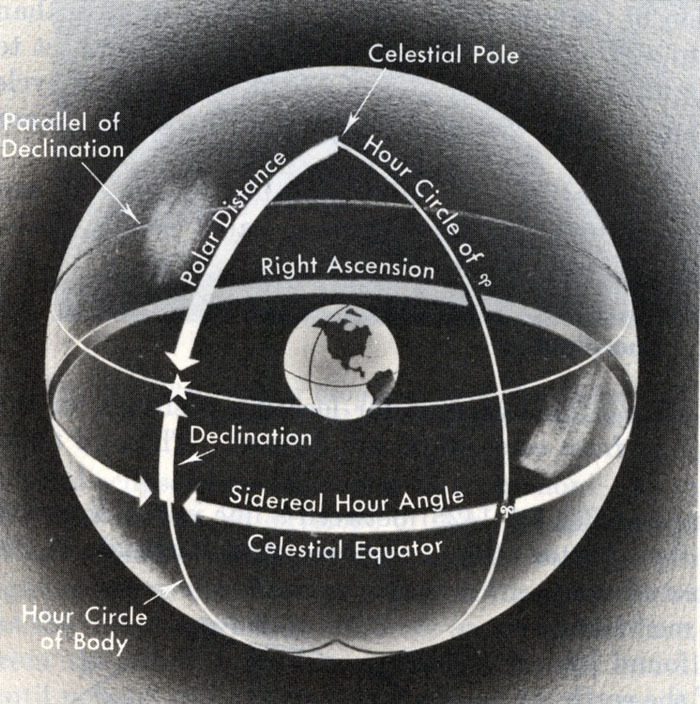 This also shows the Sidereal Hour Angle, which is 360 degrees minus the Right Ascension. The drawing is from Bowditch's American Practical Navigator, H.O. Pub. No. 9, 1962, p. 382.